My friend Cressida told me recently that this month was the 2500 year anniversary of the Battle of Marathon. And she should know; she is an outreach officer for Classics here in Oxford. 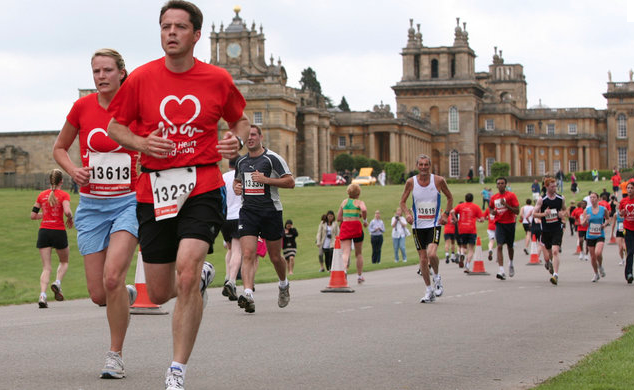 It seemed ‘auspicious’ that this weekend I completed my first ever half marathon at Blenheim Palace to raise money for the British Heart Foundation. There is much debate about the actual history of the marathon… ledged, or at least Herodotus (the ancient historian, not the toy horse) wrote the history of the Persian Wars in his Histories, composed about 440 BC, telling of an Athenian herald named Pheidippides who was sent to Sparta to request help when the Persians landed at Marathon. He ran 150 miles in two days, and then ran the 25 miles from the battlefield near Marathon to Athens to announce the Greek victory over Persia in the Battle of Marathon with the word “Νενικήκαμεν,” or “We have won” and collapsed and died from exhaustion. I think I know how he felt… Mine was obviously only a half marathon, but I was half dead by the end of it. I really do appreciate all the support and sponsorship from so many people. Thank you all… you are really kind. I have succeeded in raising a little over £300 for the BHF thanks entirely to your generosity. 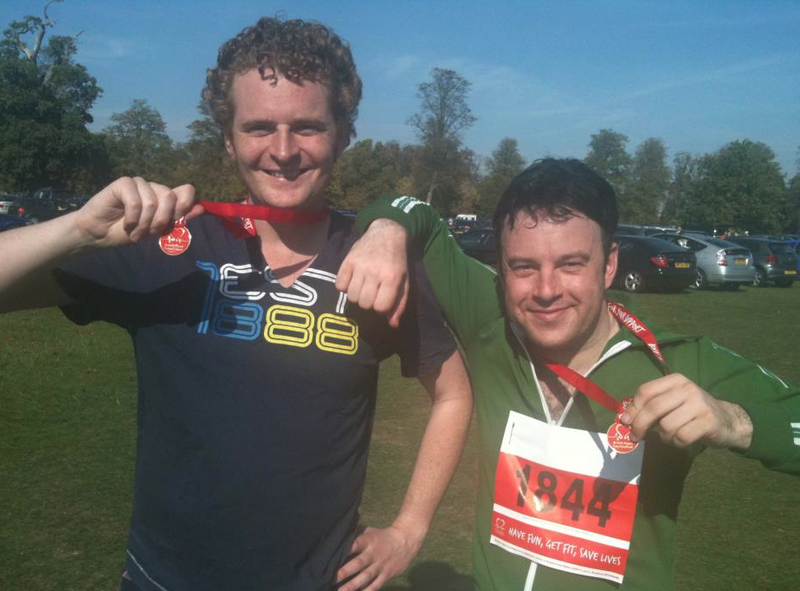 I ran most of the course with my friend Paddy, and we both came in around the 2:08 mark… I was pleased with this, it being our first attempt! But Silk (of the Gardener’s Arms fame) managed it in just short of 1:30 … a truly Olympic performance. Over 3,000 runners took part in the day’s events up at Blenheim in 28-degree heat and together raised over £100,000! The Palace and its spectacular grounds were the perfect venue for the run, but to be honest I was not too interested in the spectacular course… just getting round. Now that I know that I can do it, I may do another one, but not till I can move my legs again! You can get all the info you need about the British Heart Foundation and the good work they get up to here. And if you somehow missed the opportunity to sponsor me (and you can for another three months!) please do get involved by following this link. Heartfelt thanks for all your support!